The Sharland Foundation Developmental Disabilities ABA Research and Impact Network (SF-DDARIN) is funded by the Sharland Foundation and is in collaboration with Bangor University, Ulster University and The Tizard Centre, University of Kent. The project is directed and managed by a core management team with the support of four research assistants. Richard Hastings is the project director. Richard is Professor and the Cerebra Chair of Family Research in the Centre for Educational Development Appraisal and Research, University of Warwick. He also holds an honorary appointment as a Monash-Warwick Professor at Monash University (Melbourne). Richard is a researcher primarily in the field of intellectual and developmental disabilities (including autism). His main research interests are in: mental health, family research, challenging behaviour, forensic issues, special educational needs, intervention/treatment studies, early intervention. Richard also has broader interests in some psycho-educational intervention/treatment approaches including mindfulness, Dialectical Behaviour Therapy, and Applied Behaviour Analysis approaches. Louise Denne (BCBA) is the project manager. Louise is a Senior Research Fellow at the Centre for Educational Development Appraisal and Research, University of Warwick. She is a Consultant Behaviour Analyst with over 15 years’ experience of supporting children and young people with behavioural, developmental and learning difficulties including autism. Prior to that Louise worked in the corporate world as a business analyst and project manager. Her research interests are the dissemination of evidence based practice and behaviour analysis and in particular a competence based approach to service delivery. Nick Gore is a member of the project management group. 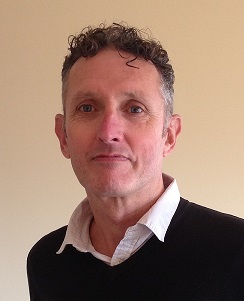 Nick is a clinical psychologist (HPC registered with chartered membership of the BPS) and lecturer/researcher in the field of learning disabilities based at Tizard Centre, University of Kent. Nick began his behavioural career as an undergraduate psychology student working on the UK Young Autism Project as an ABA tutor, senior tutor and later a consultant. He subsequently gained experience working as an assistant, trainee and clinical psychologist supporting children and adults with learning and developmental disabilities across a range of secure, community and educational contexts. 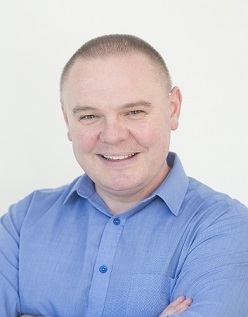 Nick continues to provide behaviourally based clinical support via consultancy arrangements and positions with the NHS and delivers training in behavioural approaches on undergraduate and post-graduate programmes and to organisations nationally and internationally. Nick has particular research interests in the early intervention and use of Positive Behavioural Support amongst children, together with systems and supports to meet the emotional needs of staff and carers more broadly. Corinna Grindle (BCBA-D) is a member of the project management group. Corinna has more than 20 years’ experience working with children and young people with intellectual and developmental disabilities, including autism. Her research interests include early intervention, challenging behaviour, and fostering academic learning for students with moderate and severe disabilities. She is an Associate Research Fellow at Warwick University. Carl Hughes (BCBA-D) is a member of the project management group. Carl is a Consultant Behaviour Analyst at the School of Psychology, Bangor University, Wales. He is Director of the MSc in Applied Behaviour Analysis, and the Wales Centre for Behaviour Change. He is also the Deputy Head for Teaching and Learning of the College for Health and Behavioural Science. His research interests include evidence-based educational interventions with children, reading instruction, and educational application of behavioural psychology. Emily Tyler (BCBA) is a member of the project management group. Emily is a lecturer in both the School of Education and the School of Psychology at Bangor University. She completed her PhD in psychology at Bangor University in 2013, during which she researched effective reading interventions for typically developing children and children with an intellectual disability. 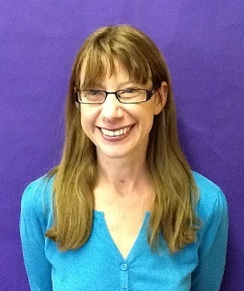 Emily continues to conduct research in education, including further research evaluating reading interventions, investigating the use of fluency-based procedures to improve academic skills with typically developing children and children with autism, and the effects and challenges of implementation fidelity in school settings.